This is our third year in a row visiting Charlotte, and the third time Tim’s office has moved locations around the city. We always try to find a place to stay that’s as close as possible so he doesn’t have a long commute. This was our most successful attempt as we managed to get within a 20-minute drive from the office. Not only did that mean he didn’t have to spend close to an hour commuting each way (like the first year when we stayed at McDowell Nature Preserve), but it was also a reasonable distance if I wanted to drop him off and pick him up so I wasn’t stuck at the RV park all day. The park we choose ended up suiting our needs perfectly, but there are certain times of year when I would never, ever stay there. Why? 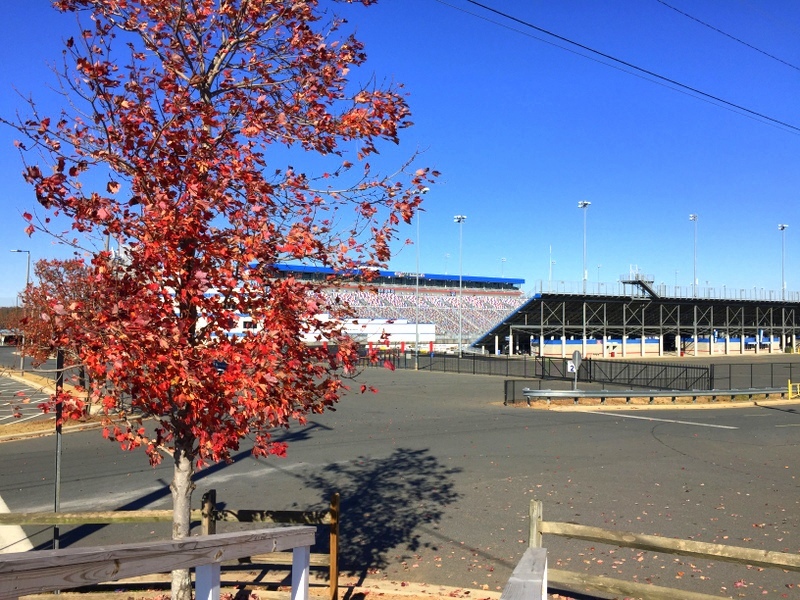 Becuase the Camping World Racing Resort Campground is located at the Charlotte Motor Speedway. When I say at the speedway, I mean literally within sight of the ZMax Dragway and the Dirt Track (that’s really what they call it). 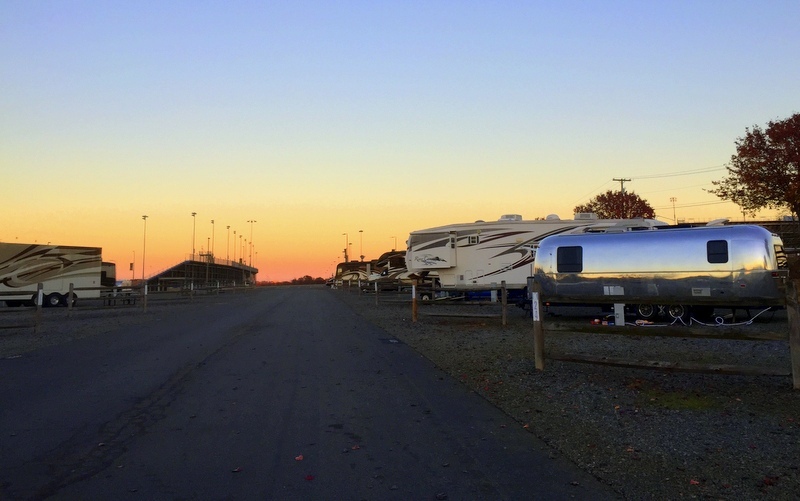 The Dragway and the Dirt Track — sooo close! Fortunately, there are no races this time of year and the campground was only partially full and mostly quiet. It was also a really good deal at $25/night for full hook-ups. While the scenery was lacking, our site was large, the utilities worked well, and the laundry room clean and cheap. The only downside was that the entire park..err, parking lot, was on a slope making leveling a painful necessity. The other downside was the lack of options for walking. The park is located between the race tracks and a busy road, which leaves the parking lot as the only option for exercise. I circled it several times, several days in a row. It wasn’t very exciting. It was also on the chilly side which didn’t help my motivation. I did take advantage of Tim’s absence (meaning I got our only table all to myself for projects) to do a small redecorating project inside the Airstream. There’s not a lot of decorating that goes on inside a 200 square foot home. If I want to mix it up and change things around about the only things I can do involve couch pillows, our one rug, and the curtains. Since I already re-did the bedroom curtains last fall, and the rug is still in good shape, I decided some new pillows were just the thing to spice it up. 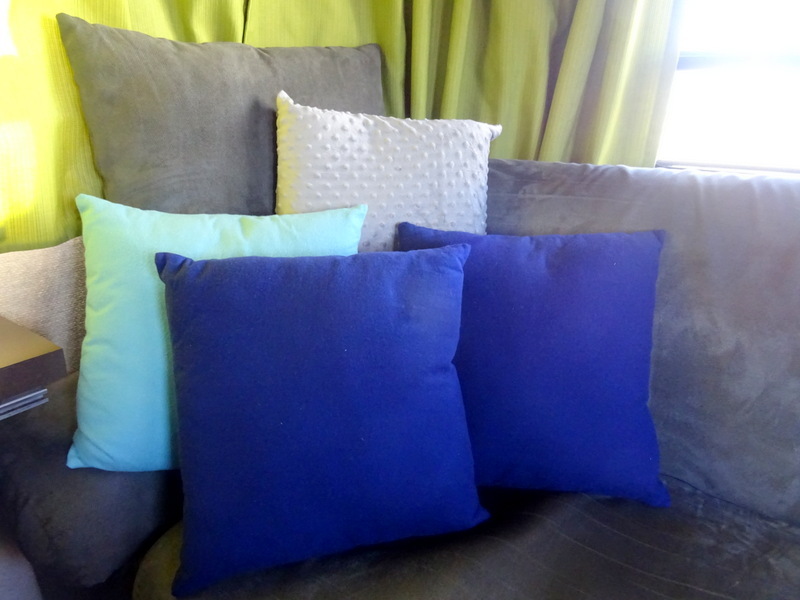 Pillows are one of the easiest sewing projects. 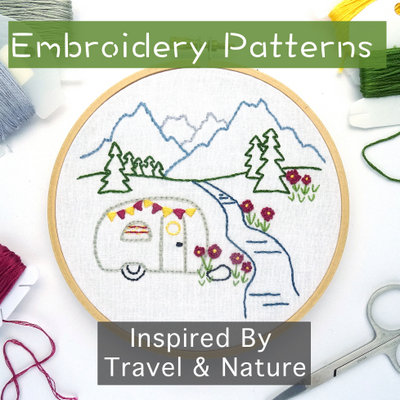 Simply measure and cut the fabric, sew on three sides, pop the pillow in and hand sew the last side. 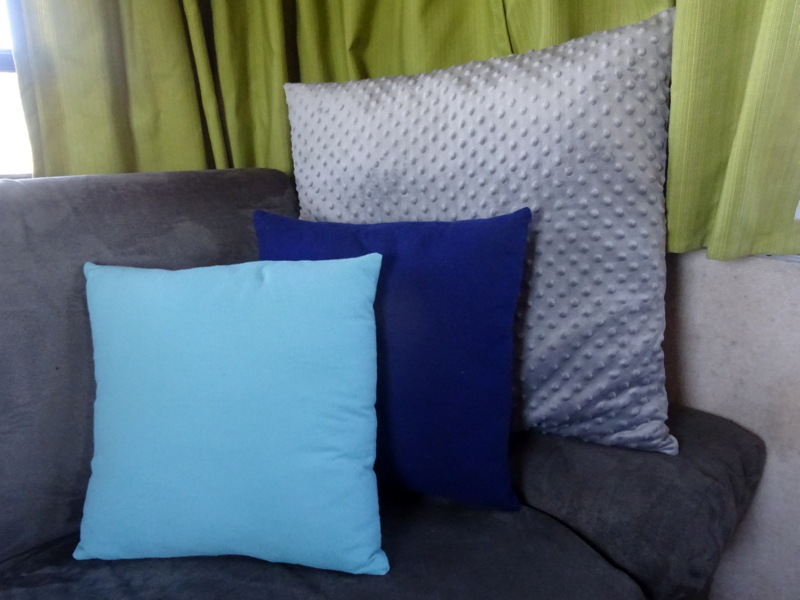 Easy peasy, and if you get the fabric and pillow inserts on sale at Jo-Ann Fabrics like I did then you can make new pillows for under $8 each. 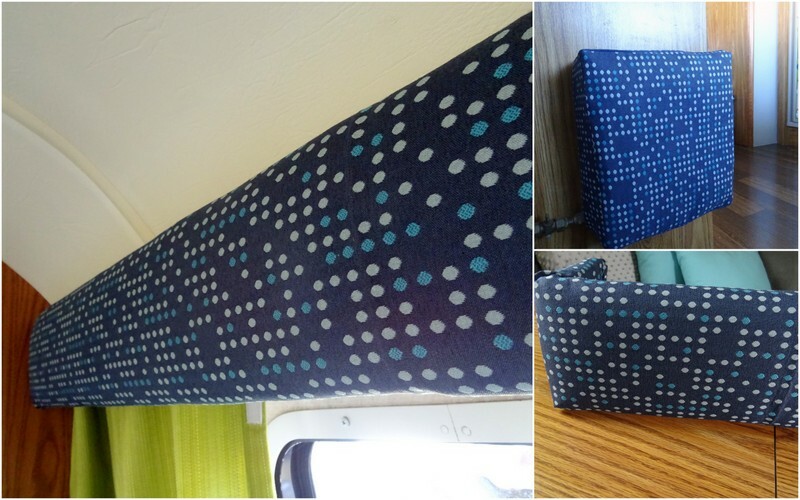 I also scored an awesome piece of thick upholstery fabric in the sale bin for only five bucks that I used to recover our living room valances and catalytic propane heater. More easy projects that make a big difference in our tiny space. Considering we didn’t do anything very exciting the week went by fast and soon it was time to head south. Not a moment too soon either. The nighttime temperatures in Charlotte were pretty consistently hovering around the freezing point which meant it was time to go south!!! We left early on Saturday morning to tackle the nearly 500-mile drive to O’Leno State Park in northern Florida. That’s way too far for one day, so we split it between both weekend days which gave us time for a fun detour about two hours south of Charlotte at a little visited national park called Congaree. Never heard of it? Me either. 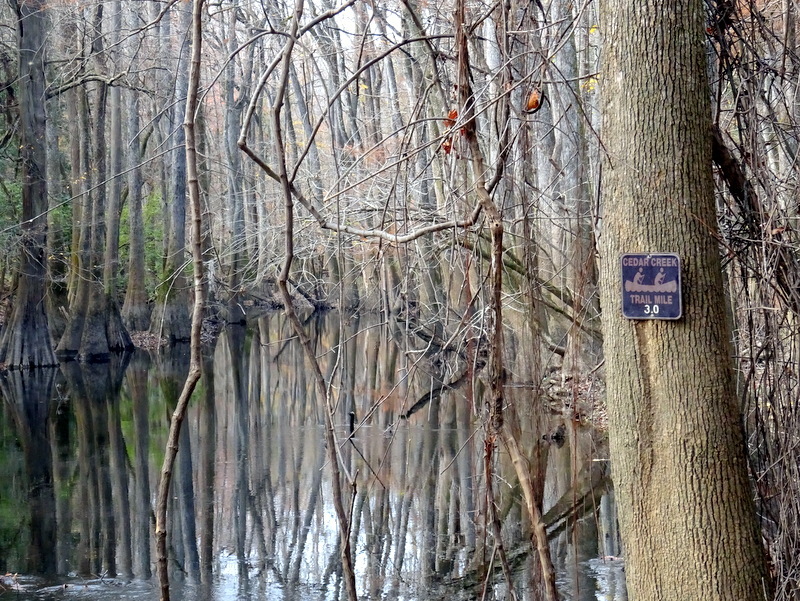 Congaree only received national park status in 2003, but the massive old growth forest and bottomland ecosystem have been around for centuries. After a quick tour through the visitor center, we set out for a hike on the boardwalk and beyond. Parts of the park suffered damage from flooding during Hurricane Matthew and some of the bridges along with a section of boardwalk were closed, but we still managed to piece together a 5-mile hike through the forest. There are a couple canoe trails that wind through the park. One is the 50-mile Congaree River Blue Trail that follows a wide river along the edge of the park. 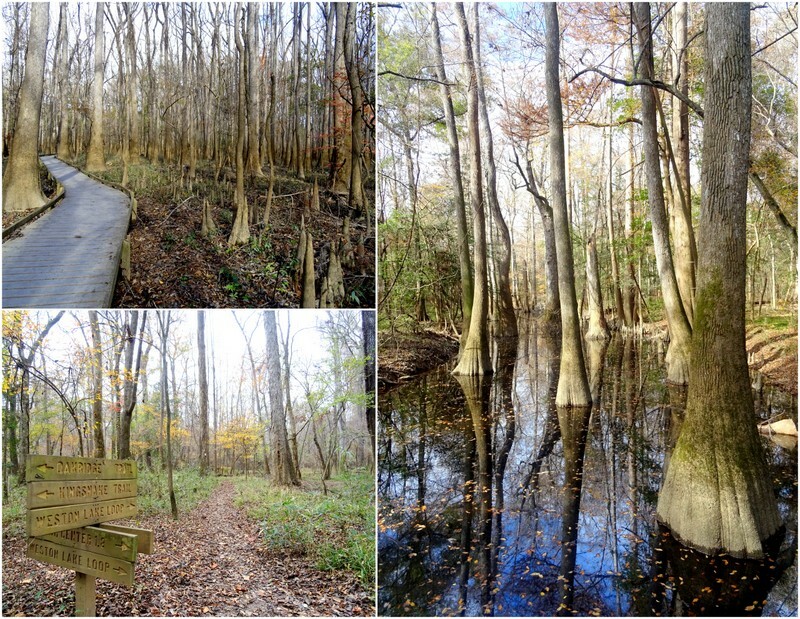 The other is the 20-mile Cedar Creek Trail that travels through the heart of the park. Backcountry camping is allowed in the park (with a permit), but the Cedar Creek Trail could also be shortened to a partial 6-mile trail provided you had two vehicles. We hiked past Cedar Creek a few times and it looked like a potentially frustrating paddle with tons of downed trees and log jams. 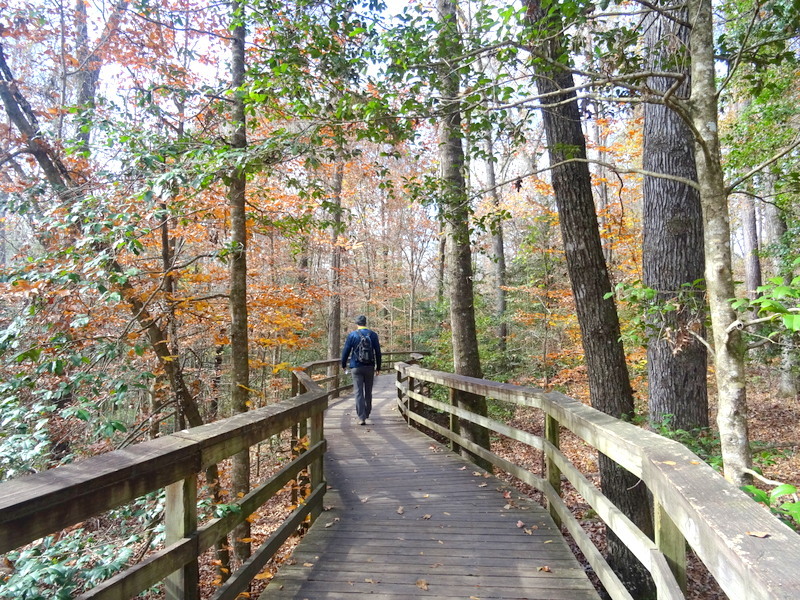 After reading some not so favorable reviews about the Cedar Creek trail, along with the park website that warns of poisonous snakes and spiders, I think the larger Congaree River trail sounds much more enjoyable. Maybe someday we’ll be back to try it out. After our hike it was back on the road for a few more hours. Instead of following Google’s recommendation to travel east and then south on I-95, we instead went slightly west to Columbia and Augusta, GA and then straight south on a small 2-lane road called 221. We almost always prefer small roads over major interstates. Not only is it more interesting, but it also means we don’t have to deal with aggressive drivers and people who don’t know how to properly merge onto the interstate. It ended up being a good decision as the roads we traveled were not busy and the small towns far and few between. We stopped at a Walmart somewhere in the middle of nowhere Georgia for the night. When we have two travel days in a row, a free parking lot is always our choice over an RV park. It simply doesn’t make sense to deal with pulling into a site and paying for amenities we won’t use. I know some people don’t like parking overnight at Walmarts, but we’ve done it dozens of times over the years and have only had one or two bad experiences (noisy teenagers blaring music & a street sweeper at 2am). Despite being a 24-hour Walmart this one was surprisingly quiet. That’s the beauty of a small town I guess. On Sunday we only had a short three-hour drive to O’ Leno State Park. 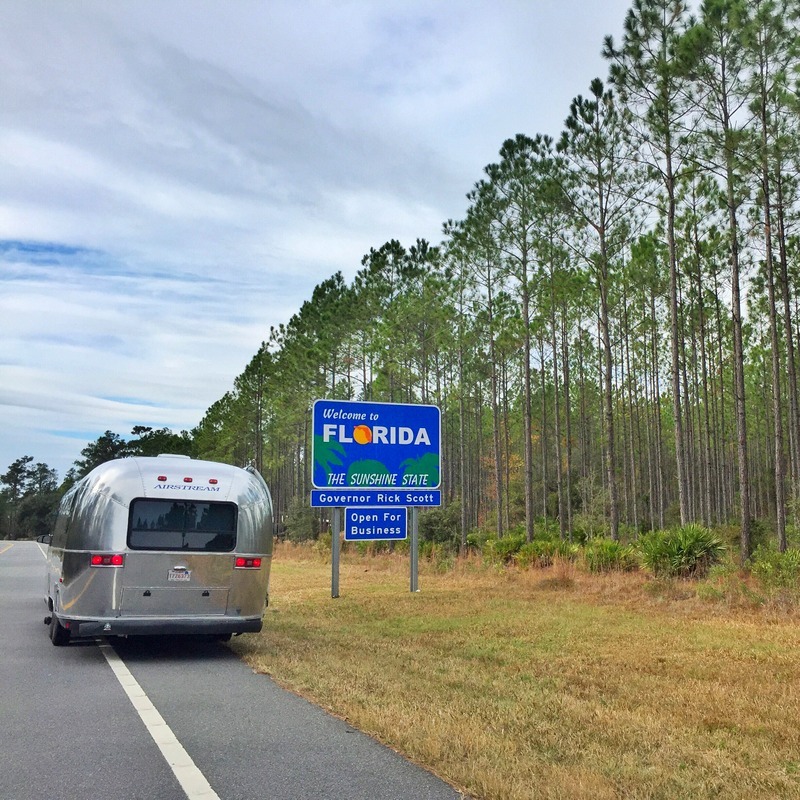 As we traveled south the temperature rose quickly and by the time we made it to the Florida State line it was borderline hot outside. Finally! Wow, you got a great deal on those pillows…the last time I bought them at JoAnn I had to pay full price (something like $15/each). Looks terrific! The pillow forms and the fabric were both 50% off! You are in a wonderful area of FL. High Springs has a cute down town and if you go west on 236 there are 3 springs righ after one another. Have fun oh, Gainesville is nice also, Micanopy too. Thanks! We might not get a chance to explore the surrounding are much this week, but we are really enjoying the campground. I had to laugh when you mentioned the people merging onto the interstate. We drove from CA to Maine and back this summer. I think my left ear has damage from my husband fuming about how no one knows how to merge. lol We have seen the park in SC and hopefully will be able to visit sometime this year. We stayed at Olena last spring. Cute park and the day use park up the road had manatees you can see when you kayak. Love reading your blog. Oh yeah, that merging thing is a big deal when you drive an RV. I never thought about it when I drove a little car and am afraid I might have been one of those people we now yell at! Love the soft pillows and pretty valance – look great! 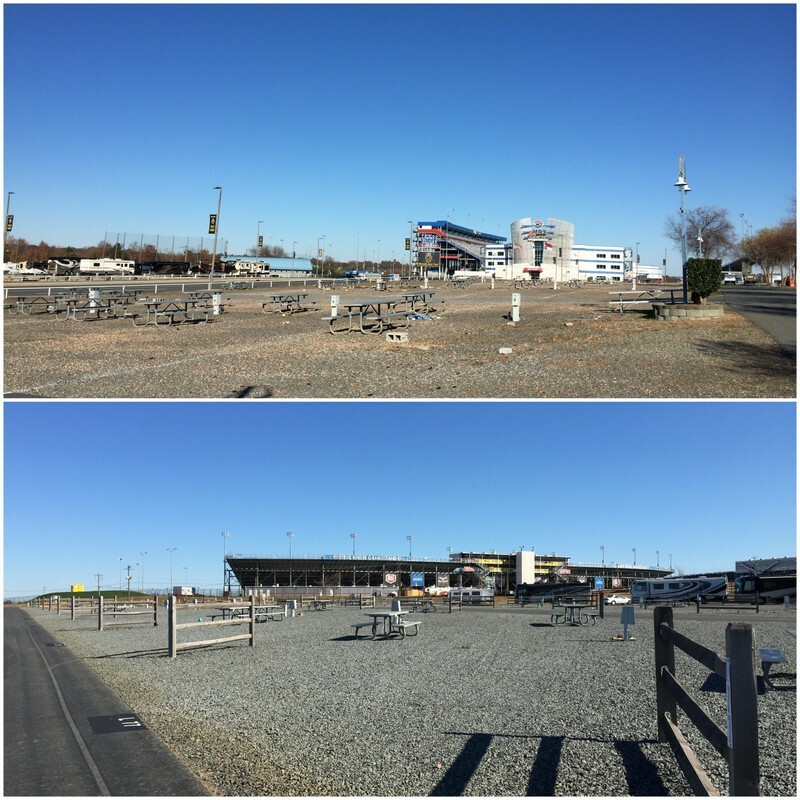 Quite the difference from the racetrack parking lot to the pretty park – all part of life on the road though :-) Warm temps sound divine! It amazes me why you don’t have thousands of comments from readers. Yours is the best travel blog on the internet…. You are lucky to live close by. It’s definitely a park we hope to spend more time exploring. I LOVE the idea of seeing synchronized fireflies!